The growing family will appreciate the flexibility offered by an unfinished bonus room and an optional basement in this three bedroom country cottage floor plan that lives bigger than it looks. An elegant palladian window in a clerestory dormer washes the two-story foyer in natural light. Columns between great room and dining room add drama and accent nine foot ceilings. 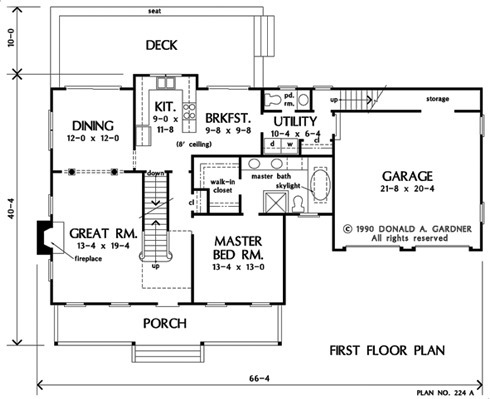 This home plan offers a luxurious first level master suite that makes a great parent get-away. The master bath features a cheery skylight above the whirlpool tub. 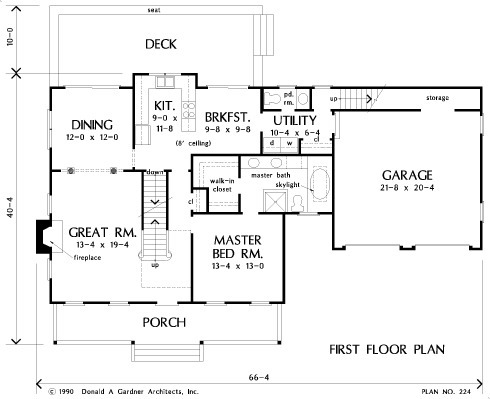 1st Floor: 1289 Sq. 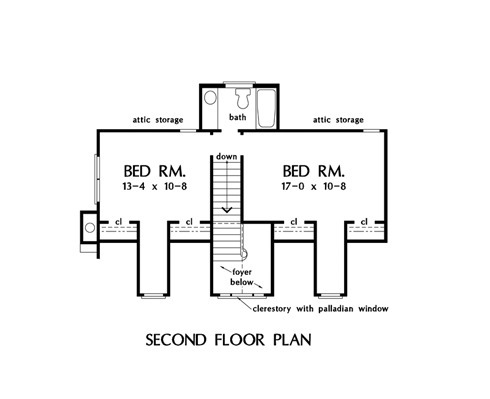 Ft.
2nd Floor: 542 Sq. Ft. 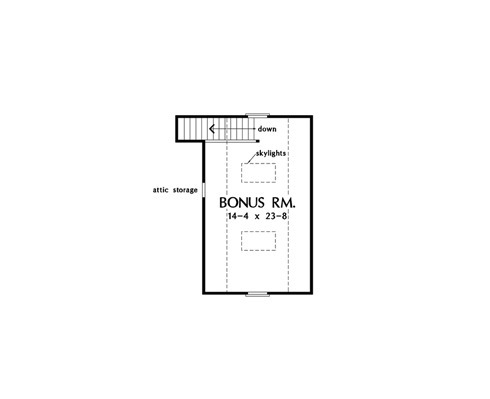 Bonus Room: 393 Sq. Ft.
House Dimensions: 66' 4" x 40' 4"
Great Room: 13' 4" x 19' 4"
Master Bedroom: 13' 4" x 13' 0"
Dining Room : 12' 0" x 12' 0" x 9' 0"
Great Room : 13' 4" x 19' 4" x 9' 0"
Kitchen : 9' 0" x 11' 8" x 8' 0"
Breakfast Room : 9' 8" x 9' 8" x 8' 0"
Utility Room : 10' 4" x 6' 4" x 9' 0"
Bonus Room (Vaulted): 14' 4" x 23' 8" x 8' 0"
Garage : 21' 8" x 20' 4" x 0' 0"
Garage Storage : 17' 0" x 3' 0" x 0' 0"
Master Bedroom : 13' 4" x 13' 0" x 9' 0"
Bedroom #2 : 13' 4" x 10' 8" x 8' 0"
Bedroom #3 : 17' 0" x 10' 8" x 8' 0"
Porch - Front : 33' 10" x 6' 0" x 0' 0"
Deck / Patio : 31' 8" x 12' 0" x 0' 0"